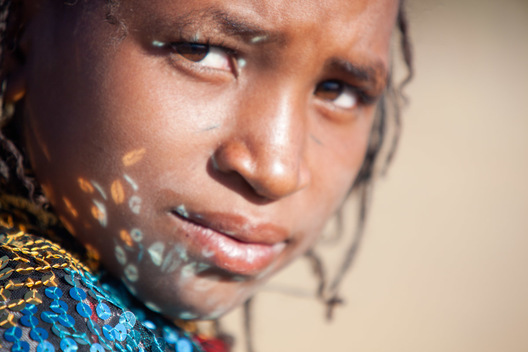 Irene Abdou Photography, LLC - Travel. Lifestyle. Documentary. NGOs, Development & Public Health. 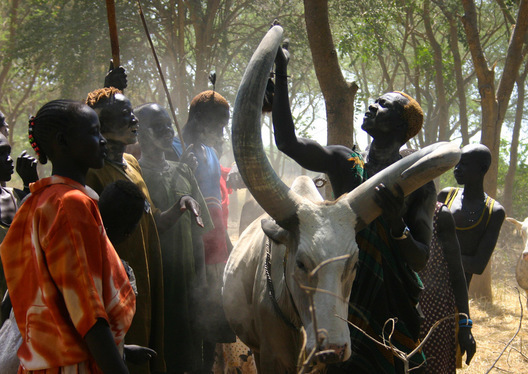 A group of Dinka gather around a cow, proudly showing me its specially-shaped horns. 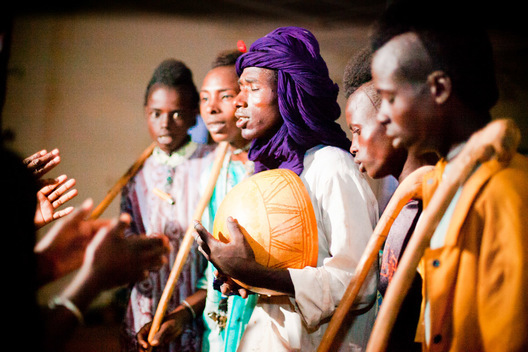 The Dinka are traditionally cattle herders, owning hundreds or thousands of cows per family. 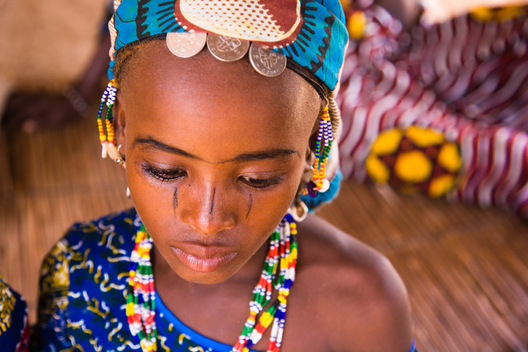 Dowries (payment by a man's family for marriage to a girl) are also paid in cows, with a beautiful girl garnering a bride price of hundreds of cows. 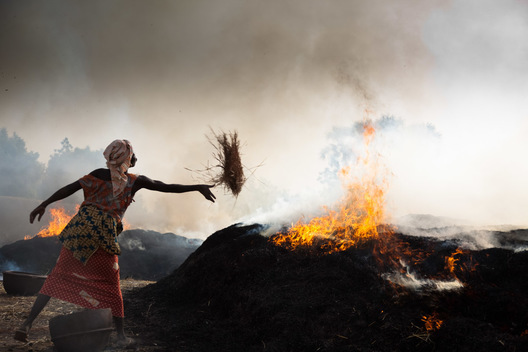 A woman in the village of Kalabougou in Mali throws fire on a giant stack of hay, under which are buried pots to be fired in this kiln.